Increase your engines performance and power by removing your mechanical fan. 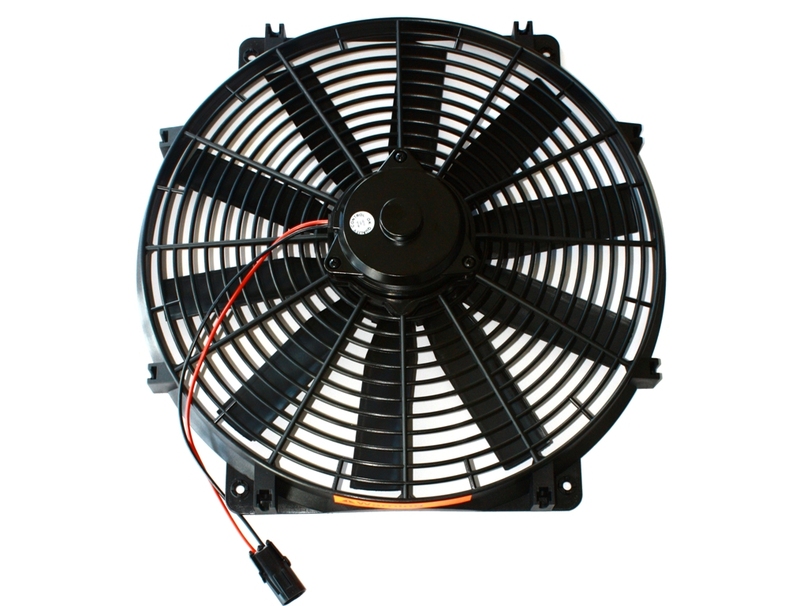 The Miller Smart Fan is an ECU controlled electirc fan conversion. The fan is fully adjustable by the ECU based on engine RPM and temperature. Traditional clutch fans by design create drag on the engine and actually eat up some horsepower. For this reason a mechanical fan contributes to "drivetrain loss." That is the measureable difference between crank horsepower and wheel horsepower. The more parasitic losses that can be eliminated on an engine helps to increase horsepower making it to the wheels. The Miller Smart Fan is a twist on traditional electric fan conversions. Normally, the fans either are switch on manually OR are on full blast at all times. You can see how problems could arise if you forgot to turn you fan on. You can also imagine how having a fan blowing full blast all the time could make engine warm up times longer than needed and it can also lead to unnecesary electrical draw. That can be a major issue for extremely higher performance cars where voltage levels are critical. Fully programmable, you can set the target temperature in your ECU based on your Thermostat. It will trigger the fan to come on at varying speed to keep coolant temperature right around the desired thermostat setting. The 16 inch slim fit electric fan has a 2000 RPM maximum operating speed and moves an impressive 2100 CFM.